DETECTIVES have arrested the first of 10 people wanted in connection with a £20 million fraud. Anton is wanted by Cheshire police for allegedly committing multiple ATM fraud offences. Romanian citizen Marius Anton, 31, was held in Kent as he attempted to leave the UK on Wednesday, City of London Police have revealed. Anton is wanted by Cheshire police for allegedly committing multiple ATM fraud offences across the country since early 2012. 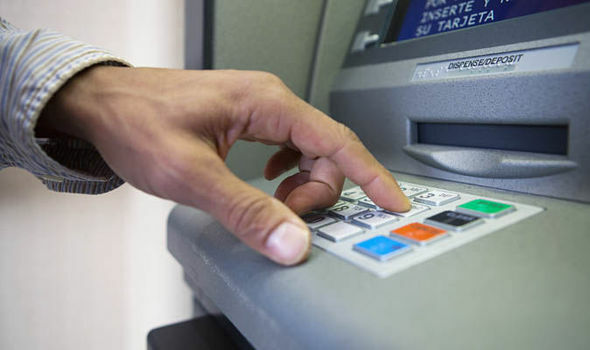 Police said the Romanian is suspected of attaching card skimming devices to supermarket ATMs to extract and clone credit card details. It was said that he had previously failed to appear at court in May 2012 to stand trial for possessing criminal items and articles being used for fraud. A City of London Police spokesman said Anton appeared at Crewe Magistrates’ Court on Thursday charged with these offences and an extra offence of failing to appear at court. He was remanded in custody to reappear at a date to be fixed. Anton’s arrest came less than 48 hours after his image and that of nine other wanted people were circulated in the media.